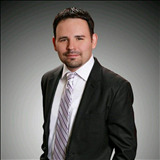 Let Phillip Baiz not only sell your home but get it SOLD! Knowing how to professionally spruce up your Sacramento home is part of the battle. The other half is figuring out if you have too much furniture, the wrong type or a bad arrangement, and whether it’s worth making repairs or staging your home to transform that house an irresistible and desirable showcase for potential Sacramento home buyers. How much is your Sacramento home worth? Pricing a home is part art and part science. It’s a combination marrying analytical statistics to emotional appeal and market movement. You do not want to overprice your home or try to “test the market.” Like Goldilocks and the Three Bears, you want to price it just right. A good Sacramento real estate agent can make or break your deal. You want to hire the best real estate agent in Sacramento you can find, which means hiring an agent who will put your interests first, above his or her own. All agents are different. They charge varying rates, specialize in certain areas, utilize a variety of marketing techniques and possess particular skill sets, all of which sets them apart. Effective marketing is more than sticking a sign in the yard. Successful Sacramento home sellers utilize dozens of marketing techniques to draw the largest pool of buyers. When buyers show up on your doorstep, here are tips on how to create a magical experience and encourage the buyer to make a purchase offer. The first inclination that something is wrong happens when weeks go by without calls from buyers or their agents. Or when buyers don’t spend more than 30 seconds inside the Sacramento home before scurrying out the door. If your neighbor’s homes are selling in Sacramento and yours is sitting on the market, here is how to correct the problem or, better yet, to avoid making selling mistakes at the beginning. Sellers and buyers in Sacramento are often polar opposites. Buyers want to pay as little as possible and sellers want full-price offers. Somewhere in between those two extremes, sellers and buyers find middle ground or the deal doesn’t happen. Here is advice on how to give sellers a clear edge in negotiations. In tough markets, buyers ask sellers to help finance properties. Owner financing attracts more buyers, and sellers have a variety of financing instruments to choose from. Sometimes sellers obtain home equity loans to or bridge loans to buy a new home before their existing home sells. Here are articles that cover financing options for a seller.